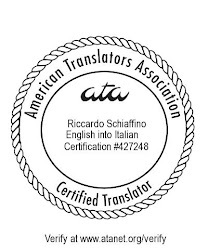 About Translation: Should the translator contact the author? Should the translator contact the author? Should the translator contact the author, and if so, how much weight should the translator give to the author's overt intention as against his or her intentions as perceived or inferred from the text of the book? A very interesting post by A.M. Correa in the Words Without Borders blog. I am absolutely pro contact...BUT you have to know when to stop. I think it is in everybodies interest to point out possible mistakes, and I appreciate anyone contacting me for mistakes we have in our documentation. Unfortunately, if you are not talking to the writer directly (or even if you are), you have to know when to stop. If the author does not change it, the probably is a good reasons to do so that are usually beyond the translator's knowledge. At that point, you have to make your peace with it and move on. I once had a translator who kept going on and on arguing about something. His point was valid, but at that point it was just costing me a lot of time and nerves - especially since I know he was right. I think contacting the author is part of the translation process, but questions should be limited to the things we cannot ourselves solve. I'd much sooner spend time figuring something out on my own than contact the author. I also take the time to point out obvious errors and, if necessary, I might point out if a particular passage in unclear. As Susanne mentions, we should also attempt to be as unintrusive as possible. For the client, having a text translated should be part of a solution, not part of a problem ;) However, my best clients expect me to ask questions as they consider the translator as part of their team and as part of the process that ensures their text is as good as can be. Why this love affair with Notepad? 100,000 page views - Thank you!